Third-generation Nebraska farmer Paul Segner worked two jobs for years in order to keep his farm near the city of Friend going strong. The father of three knew that if he wanted to leave his farm as a career opportunity to his sons one day, something had to change. Segner and his wife, Deb, took advantage of a contract offered by The Maschhoffs, hog production networks headquartered in Carlyle, Illinois. The Segners receive the weaned pigs when they are about 3 weeks old and raise them until they reach market weight, or about 290 pounds. They get a new batch of pigs about every six months. The contract hogs have allowed the Segners to continue farming their land, and their sons – Jared, 23, David, 19, and 16-year-old Darren – can also take advantage of the opportunity. Middle son, David, is also entering the hog business. He bought 5 acres from his grandmother and secured contract with The Maschhoffs. Another Nebraska farmer, Walter Traudt of Clay Center, also raises hogs on contract for The Maschhoffs. The contract hogs could benefit future generations for Traudt’s family, too. An added benefit for both Nebraska farmers is the hog manure, which they use as fertilizer for crops. 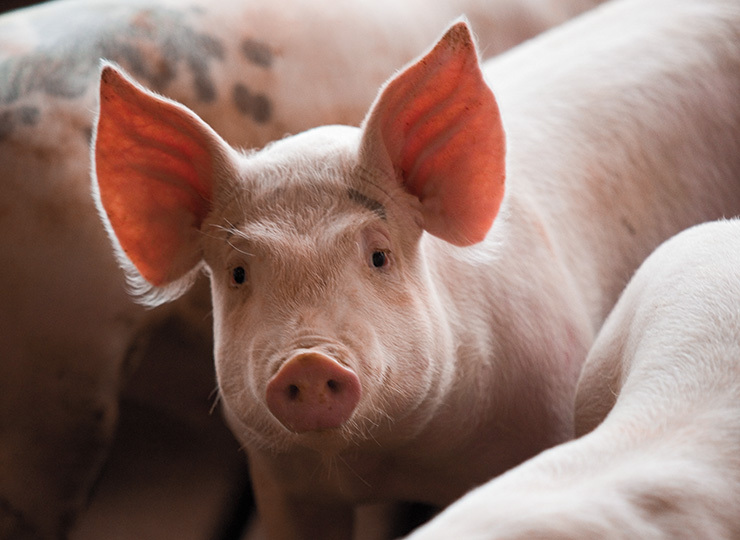 Contracting pork production in Nebraska has helped farms diversify and create opportunities to pass the family farm along to the next generation.